Free home delivery and promotional codes for use when shopping for bouquets and flowers at Debenhams Flowers. Debenhams Flowers, offer classic, beautiful flowers to suit every occasion with a collection of timeless gifts that are sure to impress. Products include a stunning range of bouquets and hampers all gift wrapped to the highest standard that is sure to impress. As well as free UK next day shipping on a range of flowers and gifts from under £20. 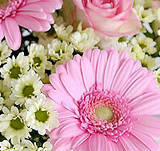 Includes free UK next day flower delivery and bouquets starting from under £20. Next day or nominated day 8am to 6pm Monday to Saturday. Debenhams offers a range of products, but there are separate sites for distinctive products. This is the case with Debenhams Flowers, and customers instantly get the few of beautiful flowers to know what they’re there to shop for. The first thing that’s made clear is the offer available at the moment. There are limited time only seasonal offers available, with free delivery, such as a free box of chocolates with orders on certain bouquets. As you scroll down, you’ll see orders by needs, designs, and types of flowers. The whole site is beautifully laid out and very easy to use. There’s even an “our favourites” section for those who are new to buying flowers and have no idea where to start. Getting in touch with customer services is made much easier than some other sites, by putting the phone number at the very top. There’s also a link to the main Debenhams websites to help find everything you could want or need. Delivery options are standard for flowers, but clearly labelled to help you get your orders when you need them. Free Delivery options include Standard or Standard tracked next day or any nominated day. Delivery times are 8am – 6pm Monday to Saturday. Premium services are available for an extra charge.